This guide explains serial connections between the Circuit Playground Express and other devices. This is very useful for making connections to other microcontrollers or single board computers like the Raspberry Pi. And some sensors require serial communications instead of other protocols like I2C or SPI. An outbound serial connection can be used for applications like CNC, data logging, debugging code, and many other things. You can program serial communications with Microsoft MakeCode and CircuitPython - examples will be shown in each. In simple terms, serial data is sending data over few wires in a timed sequence. This is the opposite of parallel in which data may simultaneously be transmitted over many wires. First was RS-232, a standard that has evolved over time and used as a basis for the TTL Serial interface, lower level connectivity between two electronics boards. Later was the Universal Serial Bus (USB), devised to be better than RS-232. With refinements and operating system innovations like "Plug and Play", USB has dominated modern electronics device connectivity. There also is the capability to work with TTL serial over any two set of data pins. This is called software serial as there is no dedicated hardware on the Circuit Playground Express' microcontroller chip to assist in providing a serial interface, the data serialization is done in software instead of hardware. 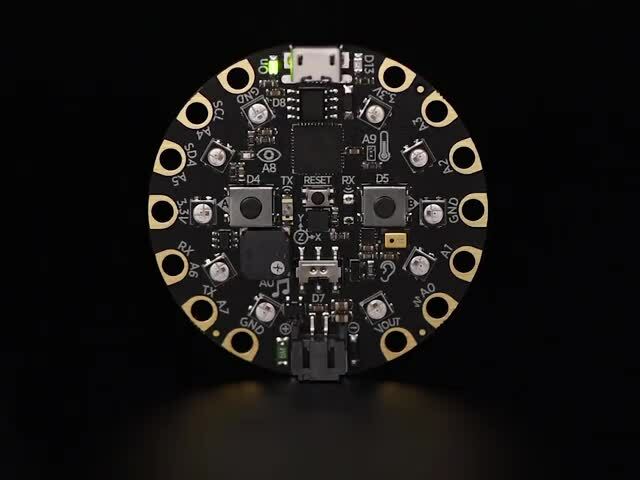 See the CircuitPython Essentials Guide for more in-depth information on selecting serial pins. It is very useful to have devices that can convert from a low level TTL serial interface to USB. Likewise it can be useful to have a USB capable computer talk low level TTL serial. 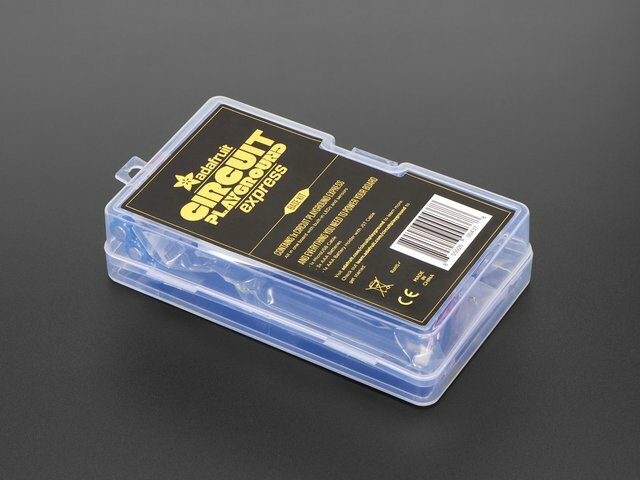 Adafruit and other companies sell USB to serial adapters with various capabilities for providing this type of conversion and interface. 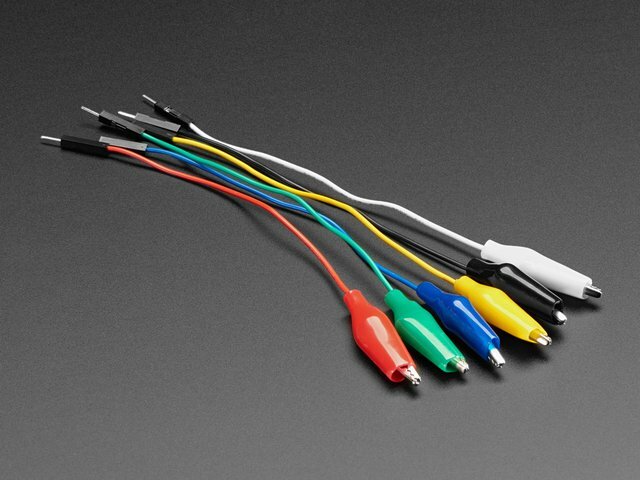 The USB to TTL Serial Cable provides serial conversion both ways: TTL to USB and USB to TTL serial. It makes connections very easy. 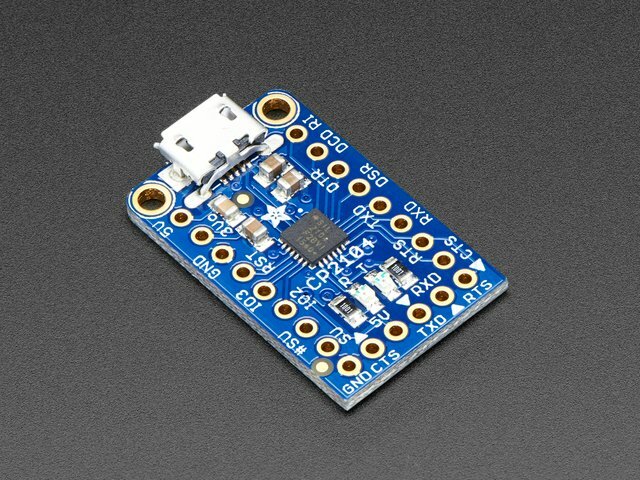 The Adafruit CP2104 Friend - USB to Serial Converter Board adds additional serial connection signals needed by some projects. It is very reasonable price-wise and comes with transmit and receive LED indicators. Some soldering might be needed for connections. Our computers (be they a PC, Mac, Linux box or a mobile device) all have serial communications baked-in. How this is usually done is via a number of USB ports. Mac: Serial ports follow a Linux/Unix like convention, with device names like /dev/tty.usbmodem and a suffix like a number. In Terminal, type ls /dev/tty* to list all serial ports. Going back to the serial RS-232 standard, there are a number of configurations for how many serial bits are sent at once. But with TTL serial, it is pretty standard that software is set for 8 bits, no parity bit, one stop bit, abbreviated 8,N,1 or 8, 1, N.
A key parameter for setting up serial communications is setting a baud rate. Best to think of it as how many bits a second are transmitted. Typical speeds follow old-time modem rates such as 1200, 9600, 19200, 57600, 115200. 256000, and 1 megabit. While setting non-standard rates may be possible with software serial, hardware may only accept fixed rates. For microcontrollers, 9600 is a typical slow rate and 115200 often a fast rate. Check your hardware specifications (spec) sheet for the baud rates the board supports. While your final project may have two devices communicating without any visualization on what is being exchanged, viewing serial communications is very common. It was the primary way to interface with minicomputers before PCs came along. Serial communications software has many names but they all basically do the same thing: display the outgoing data as characters and possibly allow the user to send characters back. Windows does not have a serial terminal standard but there are many third party terminal emulators including PuTTY and Tera Term among others. See our guide Advanced Serial Console on Windows for more information. Your Windows COM port will be shown in the Control Panel -> Devices and Printers section, under Unspecified Devices and names Silicon Labs CP210x USB to UART Bridge. The red wire is not required and should not be used if you power the board from a battery or the native USB port. Note you can use the +5 volts out on the external cable and board to provide power to the Circuit Playground Express on the Vout pad. The Circuit Playground Express should not draw more than 200 milliamps or so unless you use the NeoPixels where the current could rise above 450 milliamps which may be quite high. Check any device's specifications if you have custom needs or use an external power source and do not connect the converter's +5 out to the board. Note the color connections: The White Alligator Clip on RX goes to the GREEN wire on the converter, the Green Alligator Clip to the WHITE wire on the converter. That is TX -> RX and RX -> TX for serial between devices. 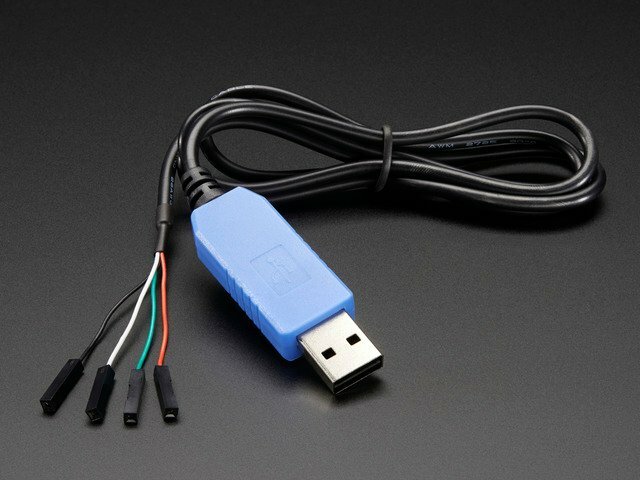 If you are looking to establish a serial connection via the Adafruit USB console cable #954, the connections are shown above. This diagram shows using the USB cable power for the Circuit Playground Express (the red wire). If the console cable is plugged into a computer, the red wire has +5 volts and can power the Circuit Playground Express if connected to the Vout pad. If you plan to power the Circuit Playground Express via battery or USB power via the onboard USB connection, do not connect the USB serial converter cable red wire. The signal wires RX and TX are 3.3 volt "TTL" levels so they are safe for Circuit Playground Express. If you are running Linux, drivers are already included in the kernel, no need to install anything! Above shows the connections for the Adafruit CP2104 Serial board #3309. The headers are not soldered in to get a better view of the board markings. This diagram assumes you are using USB or battery power for the Circuit Playground Express. The signal wires RX and TX are 3.3 volt "TTL" levels so they are safe for Circuit Playground Express. The ground wire provides an electrical return path so is necessary. For Windows, the USB driver is in Windows Update, Mac OS drivers are here, Linux does not need a driver. What do these connections do? These connections turn a serial connection between the Circuit Playground Express (via the hardware serial TX and RX pads) to the cable and board which have chips which convert the TTL serial into USB serial communications. 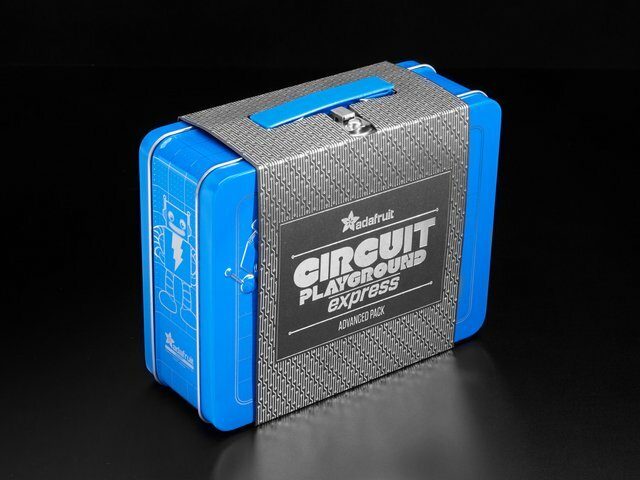 Why not just use the Circuit Playground Express USB port? 1) The software support for USB on the Circuit Playground Express was discussed earlier - there are some limitations on its use in various languages that may not be present with an external board. 2) Sometimes you need more than one serial connection. Can I program the Circuit Playground Express via an external USB connection like the ones shown? The following pages have the explanation of how to use serial communications for MakeCode and CircuitPython. For both of these examples, you'll need to have the wiring to your USB Serial cable or adapter as seen above! CircuitPython has support for serial communications through the busio library. The CircuitPython Essentials guide has a page on UART Serial for CircuitPython which is a good reference. The following code opens serial communications via busio.UART on the Circuit Playground Express TX and RX pads defined in the board library. The code then goes into a loop, waiting for a character to be received (any character), sending back the time (relative), the light intensity (relative) and the temperature in Celsius. The sleep time between reads can be adjusted. The output is shown below. The data will not be displayed until you type in a character (any one character), then the program returns the time, the light value, and the temperature in Celsius. The read is not required, you can remove that if you like and have the data be written on every pass of the loop delayed by the sleep time. The documentation for busio.UART is on Read The Docs. Also see the CircuitPython Essentials guide UART Communications page.